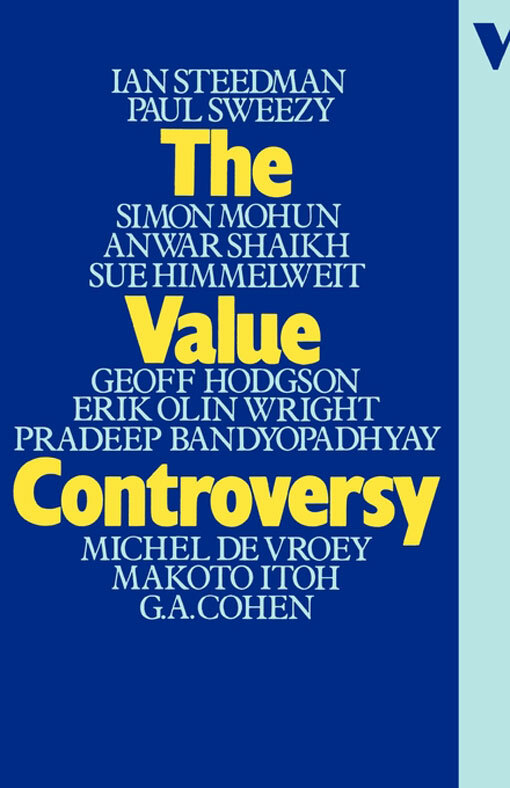 The Value Controversy, published by Verso in 1981, followed a series of debates over Marx's labor theory of value that began with the publication of neo-Ricardian economist Piero Sraffa's The Production of Commodities by Means of Commodities (1960), and which took particular salience in socialist economic theory with the 1977 publication of Ian Steedman's Marx After Sraffa. Including contributions by Pradeep Bandyopadhyay, G.A. Cohen, Michel De Vroey, Sue Himmelweit, Geoff Hodgson, Makoto Itoh, Anwar Shaikh, Ian Steedman, Paul Sweezy, and Erik Olin Wright, the collection was designed — according to its editors — "to present a comprehensive yet accessible overview of the discussion to date." G.A. 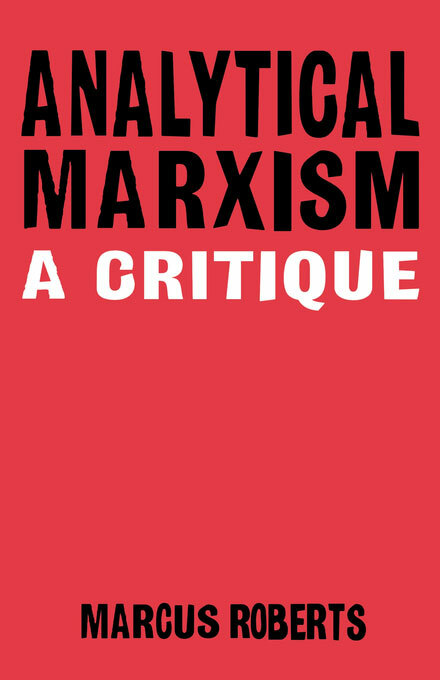 Cohen's essay, reproduced below, was initially published in the Summer 1979 issue of Philosophy and Public Affairs; one year after the appearance of his Karl Marx's Theory of History: A Defence, a foundational document of Analytical Marxism. the wonders we have made . . . This essay shows that the relationship between the labour theory of value and the concept of exploitation is one of mutual irrelevance. The labour theory of value is not a suitable basis for the charge of exploitation laid against capitalism by Marxists, and the real foundation of that charge is something much simpler which, for reasons to be stated, is widely confused with the labour theory of value. I begin with a short exposition of the labour theory of value as we find it in Capital Volume 1. (Differences between Volume 1 and later parts of Capital will be adverted to later.) I shall first define the term “value,” and then state what the labour theory says about what it denotes. What follows is one way of presenting the first few pages of Volume 1 of Capital. Having completed the presentation, I shall describe a different way, which I do not think is right. It is convenient to define value by reference to exchange-value, with which we therefore begin. Exchange-value is a property of things which are desired; in Marxian language, then, it is a property of use-values.1 It is, however, a property, not of all use-values, but of those bought and sold, which undergo market transactions. Such use-values Marxism calls “commodities.” Exchange-value, then, is a property of commodities. What property is it? The exchange-value of a commodity is its power of exchanging against quantities of other commodities. It is measured by the number of commodities of any other kind for which it will exchange under equilibrium conditions. Thus the exchange-value of a coat might be eight shirts, and also three hats, and also ten pounds sterling. Exchange-value is a relative magnitude. Underlying the exchange-value of a commodity is its value, an absolute magnitude. A commodity a has n units of commodity b as its exchange-value just in case the ratio between the values of a and b is n:1. The exchange-values relative to one another of two commodities will remain the same when each changes in value if the changes are identical in direction and proportion. The central claim of the labour theory of value is that magnitude of value is determined by socially necessary labour-time. To be more precise: the exchange-value of a commodity varies directly and uniformly with the quantity of labour-time required to produce it under standard conditions of productivity, and inversely and uniformly with the quantity of labour-time standardly required to produce other commodities, and with no further circumstance. The first condition alone states the mode of determination of value tout court. The labour theory of value is not true by the very definition of value, as we defined it. 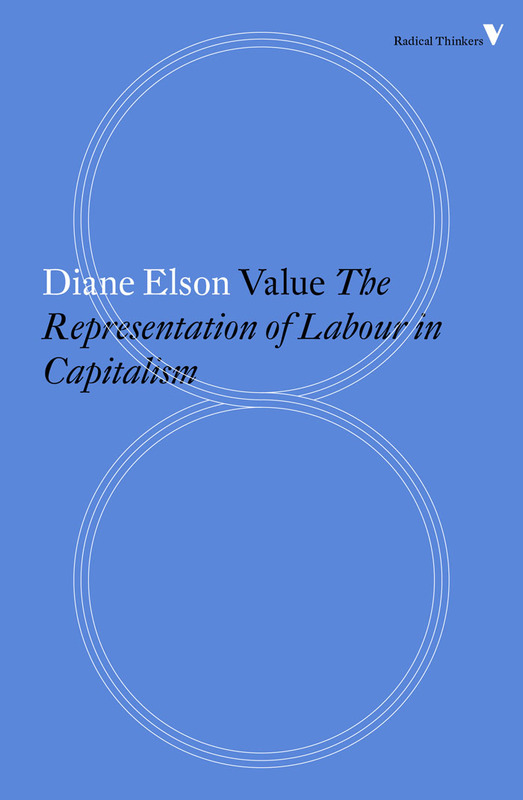 In alternative presentations of the opening pages of Volume 1, value is defined as socially necessary labour-time. But a stipulative definition of a technical term is not a theory, and when value is defined as socially necessary labour-time, it cannot also be a central theoretical claim of the labour theory that socially necessary labour-time determines value. Still, those who favour the alternative definition sometimes do advance to a theoretical thesis, namely that value determines equilibrium-price: in equilibrium, price equals value, the latter being defined in terms of socially necessary labour-time. (1) Socially necessary labour-time determines value. (2) Value determines equilibrium price. The labour theory of surplus-value is intended to explain the origin of non-wage income under capitalism. Call the energies and faculties the worker uses when labouring his labour-power. Now note that under capitalism labour-power is a commodity. It is sold in temporal packets by the worker to the capitalist. Being a commodity, it has a value, and like any commodity its value is, according to (1), determined by the amount of time required to produce it. But the amount of time required to produce it is identical with the amount of time required to produce the means of subsistence of the worker, since a man's labour-power is produced if and only if he is produced. Thus “the value of labour-power is the value of the means of subsistence necessary for the maintenance of its owner.”4 The origin of non-wage income is, then, the difference between the value of labour-power and the value produced by him in whom it inheres. It is the difference between the amount of time it takes to produce what is needed to keep a producer in being for a certain period and the amount of time he spends producing during that period. Why is the term “exploitation” used for what the rate of exploitation is a rate of? Is it because the term, as used in that phrase, denotes a kind of injustice? It is hard to think of any other good reason for using such a term. (4) One reason for overthrowing capitalism is that it is a regime of exploitation (and exploitation is unjust). Two kinds of Marxist deny (4), The first kind does so because he denies that there is any reason for overthrowing capitalism. One just does it, as it were. Or one does it because of one's class situation, or one's morally ungrounded identification with the class situation of other people. 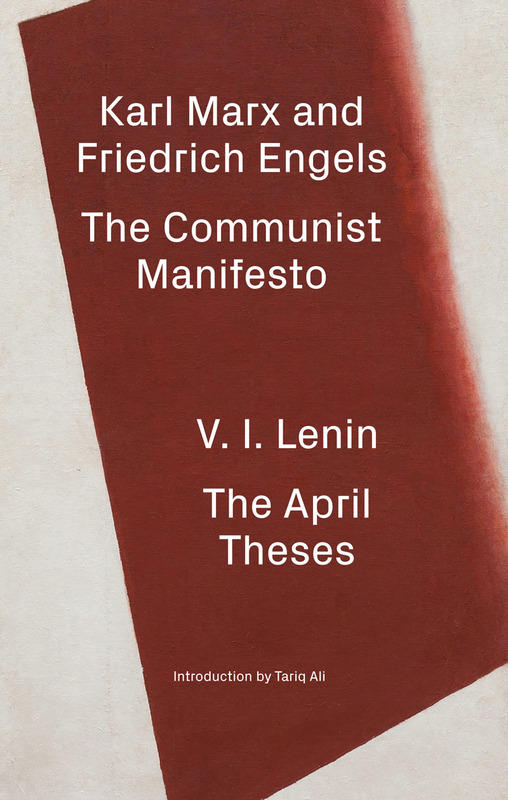 The second kind believes that there are good reasons for overthrowing capitalism, but that injustice is not one of them, since justice, he says, is not a Marxian value. What is wrong with capitalism is not that it is unjust, but that it crushes human potential, destroys fraternity, encourages the inhumane treatment of man by man, and has other grave defects generically different from injustice. Now I am certain that many Marxists have held (4), among them Karl Marx. But I shall not defend the last sentence. 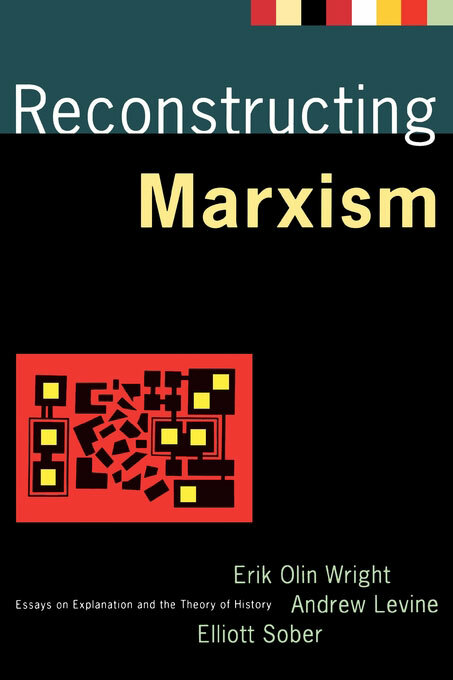 Marxists who deny it will find this essay less challenging, but I hope they will read it anyway. 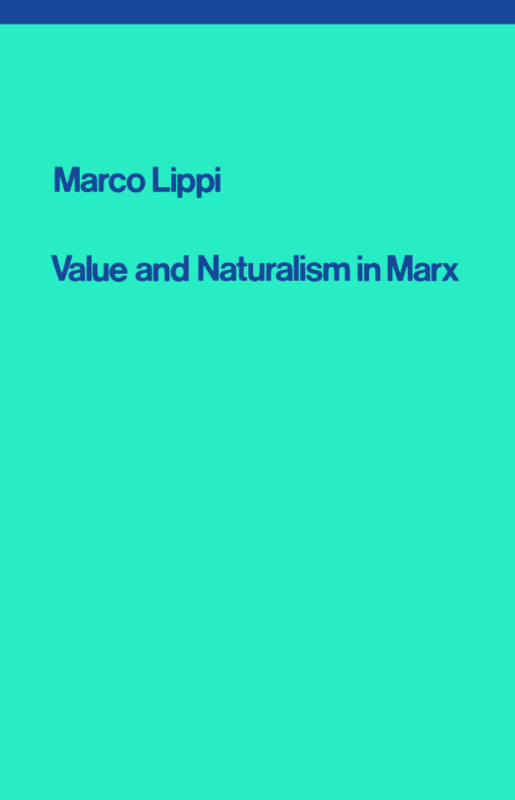 For while my main topic is the relationship between (4) and the labour theory of value, in pursuing it I uncover deep and neglected ambiguities in the labour theory of value itself, and no Marxist will deny that many Marxists do affirm the theory of value. (5) Labour and labour alone creates value. (6) The labourer receives the value of his labour-power. (7) The value of the product is greater than the value of his labour-power. (8) The labourer receives less value than he creates. (9) The capitalist receives the remaining value. (10) The labourer is exploited by the capitalist. Premise (5) comes from the labour theory of value, and the labour theory of surplus-value supplies premises (6), (7), and (9). This statement of the Traditional Marxian Argument is incomplete in two respects. First, an essential normative premise is not stated. Its content, in very general terms, is that, under certain conditions, it is (unjust) exploitation to obtain something from someone without giving him anything in return. To specify the conditions, and thereby make the premise more precise, is beyond the concern of this essay. A rough idea of exploitation, as a certain kind of lack of reciprocity, is all that we require. 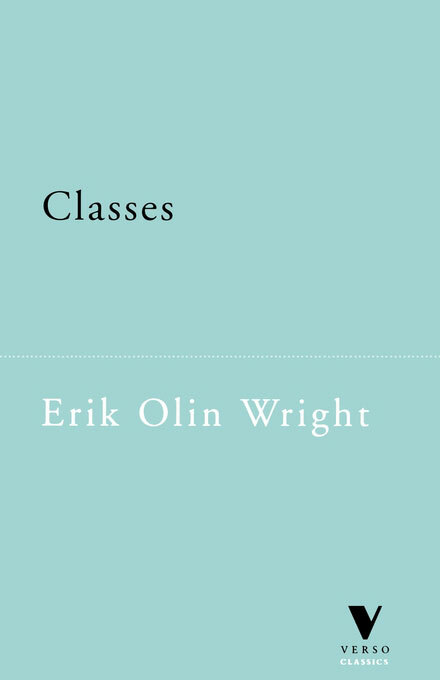 Note, finally, that the Traditional Argument, like the rest of this essay, speaks of “the labourer” and “the capitalist,” thereby individualizing the class relationship, in imitation of Capital's practice. This sidesteps the problem of identifying the working and capitalist classes, which is greater now than it was in Marx's time. I am certain that the problem has a solution which preserves the application of arguments like the Traditional one, but it, too, is not provided in this paper. (11) The capitalist receives some of the value of the product. (12) The capitalist receives some of the value the labourer creates. Suppose a commodity has a certain value at a time t. Then that value, says the labour theory, is determined by the socially necessary labour-time required to produce a commodity of that kind. Let us now ask: required to produce it when? The answer is: at t, the time when it has the value to be explained. The amount of time required to produce it in the past, and, a fortiori, the amount of time actually spent producing it are magnitudes strictly irrelevant to its value, if the labour theory is true. These statements follow from the labour theory of value. The theory entails that past labour is irrelevant to how much value a commodity now has.10 But past labour would not be irrelevant if it created the value of the commodity. It follows that labour does not create value, if the labour theory of value is true. There are two reasons why the amount of labour which was actually spent on a particular product might differ from the amount now standardly required to produce that kind of product. The first is a non-standard level of efficiency in the actual labour process, which can be more or less efficient than the social norm. The second is technological change, which alters that norm. Consider the case of inefficient labour. Marxists have always regarded it as a particularly inept criticism of the labour theory of value to object that it entails that an inefficiently produced lamp has more value than one produced efficiently and therefore in less time. And the asserted consequence does indeed fail to follow from the strict doctrine. But why should it not follow from the popular doctrine? If labour creates value by, as it were, congealing in the product, then if more labour is spent, must not more labour congeal, and will there not then be more value in the product? (13)The worker creates value if, and only in so far as, his labour is socially necessary. To the extent that actual labour-time exceeds what is standardly required, labour is not value-creating. The formulation is obviously intended to preserve the popular idea of creation, without contradicting the strict doctrine. But we shall show that this cannot be done. The strict doctrine allows no such mixed formulations. (14) The worker creates value if, and only in so far as, the amount of labour he performs will be socially necessary when the product is marketed. (15) Value is determined by (that is, inferable from) expended labour-time when the amount expended is what will be socially necessary when the product is marketed. (16) The height of a mercury column on day 2 is determined by (that is, inferable from) the atmospheric pressure on day 1 when day 1's atmospheric pressure is what day 2's atmospheric pressure will be. Statement (16) is entailed by the truth that day 2's atmospheric pressure makes the height of the mercury column on day 2 what it is. But (16) does not entail that day 1's atmospheric pressure makes the height of the mercury column on day 2 what it is. And (15), similarly, gives no support to (14). The general point is that if a magnitude m causally depends upon a magnitude m', and it is given that a magnitude m” is equal to m’, then whatever m" is a magnitude of, magnitude m will be inferable from magnitude m”. There could then be an illusion that magnitude m” explains magnitude m. Just that illusion, I claim, seizes anyone who supposes that (14) is consistent with the strict doctrine. An additional problem for the mixed formulation is the case of abnormally efficient labour, or of labour which used means of production superior to those now available, where in each instance less labour than is now socially necessary was expended. One cannot begin to claim in such a case that value is created by labour subject to the constraint that the amount expended will be socially necessary, since here not enough labour is expended. When there is inefficiency, there is a chance of pretending that some of the labour which occurred did not create value. Where there is special efficiency, there can be no similar pretense that labour which did not occur did create value. We conclude that attempts to salvage the popular idea of creation by recourse to mixed formulations will not succeed. What was required in the past, and still more what happened in the past — these facts are in principle irrelevant to how much value a commodity has, if the labour theory of value is true. But they are not epistemically irrelevant. For since technical conditions change relatively slowly, socially necessary labour-time in the recent past is usually a good guide to socially necessary labour-time now. Typical past actual labour-time is, moreover, the best guide to how much labour-time was necessary in the past. Thereby what did occur becomes a good index of what is now required. It does not follow that it creates the value of the commodity. Our argument shows that if the labour theory of value is true, labour does not create value. But it would be quixotic to seek a basis other than the labour theory of value for the proposition that labour creates value.15 We may therefore take it that labour does not create value, whether or not the labour theory of value is true. Some will ask, if labour does not create value, what does? But it is a prejudice to suppose that value must be created. Something must, of course, explain value and its magnitudes, but not all explainers are creators. One putative explanation of value magnitudes is the labour theory of value, the strict doctrine. But it identifies no creator of value, unless we suppose that explaining is creating. What would now be needed to produce a commodity of a certain kind — that is not a creator in any literal sense. Why is the popular doctrine popular? One reason is that it appears more appropriate than the strict doctrine as a basis for a charge of exploitation. We shall see (sections 8 and 9) that neither doctrine supports such a charge, but it is clear that the popular doctrine seems better suited to do so, just because it alone says that labour creates value. 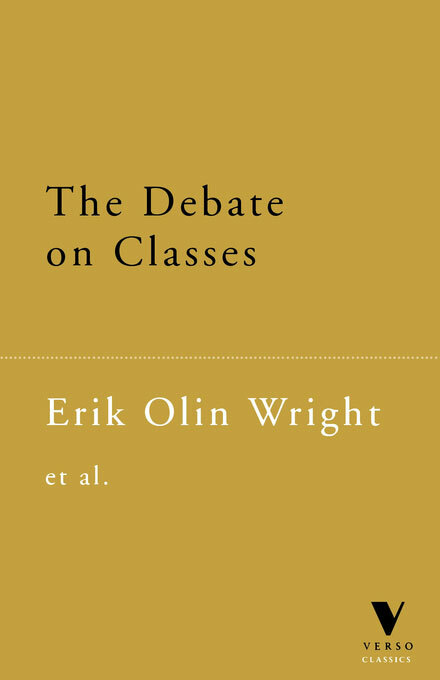 But a partly distinct reason for the popularity of the popular doctrine is that certain arguments against the strict doctrine tend to be met by an illicit shift to popular formulations. This will be explained in the next section, where the theme of exploitation is in abeyance, and where I argue that the strict doctrine is false. The discussion of exploitation is completed in sections 8, 9, and 10, which do not presuppose the next one. An obvious argument against the labour theory of value is that magnitude of value is affected by things other than socially necessary labour-time. One such different thing is the pattern of ownership of means of production, which can affect values, through the distribution of bargaining power which reflects it. Products of means of production on which there is some degree of monopoly are likely for that reason to command a higher price in equilibrium than they otherwise would, and therefore to have a higher value, under the definition of value we have given. But if value is something the explanation of which must literally create it, then since ownership of means of production literally creates nothing, it would follow that, despite appearances, the pattern of that ownership cannot affect value formation. And that is what a Marxist says. He says that labour alone creates value: the pattern of ownership can affect price, and hence how much value various owners get. But no part of what they get is created by ownership. But this line of defence depends essentially on the idea that labour creates value. If we stay with the strict doctrine, which rightly does not require that anything creates value, it has no motivation whatsoever. (3) Socially necessary labour-time determines equilibrium price. Recall our view that the definitional statement is (2), and that (1) is the substantive theory. (1) and (2) entail (3). We said we would say why some prefer to see (1) as true by definition. Here is one reason why. 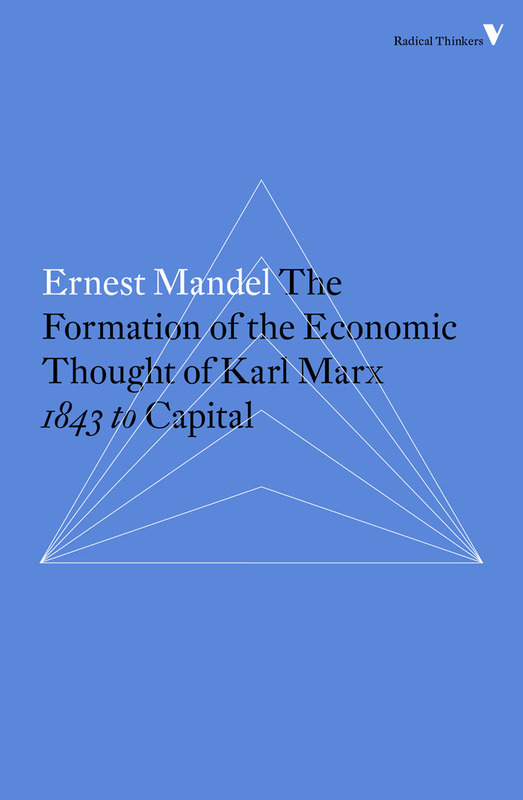 Counterexamples to (3) abound, such as the one we noted about pattern of ownership of means of production, or the cases of divergences in period of production and organic composition of capital. Statement (3) is false, and much of Volumes 2 and 3 of Capital is devoted to this fact. Now if (3) is false, one at least of (1) and (2) must be false. If (2) is true by definition, then (1) is false, and the labour theory of value is sunk. What Marxists therefore do is to treat (1) as true by definition — so that counterexamples to (3) cannot touch it — and then simply drop (2). But this deprives the labour theory of all substance. That consequence is, however, concealed by construing (1) in a popular fashion, by thinking of it as saying something like: labour creates value, for that does not look like a definition. It is then said that whatever determines market ratios, and thereby who gets what amounts of value, labour alone creates the value there is to get. The popular doctrine supplies an appearance of substance when, under pressure of counterexample, (1) is treated as true by definition, (2) is dropped, and the theory is, in reality, drained of all substance. Volume l of Capital, because of its simplifying assumptions, can proceed under definition (2) of value. When the assumptions are relaxed, (1) and (2) cannot both be true. Hence, in Volumes 2 and 3, statement (2) is abandoned. At this point it is instructive to look at a central part of Marx's critique of Ricardo. If I am right, it depends on popular formulations. The labour theory of value comes in two versions, strict and popular. The two contradict one another. But the labour theorist cannot, by way of remedy, simply drop the popular version. 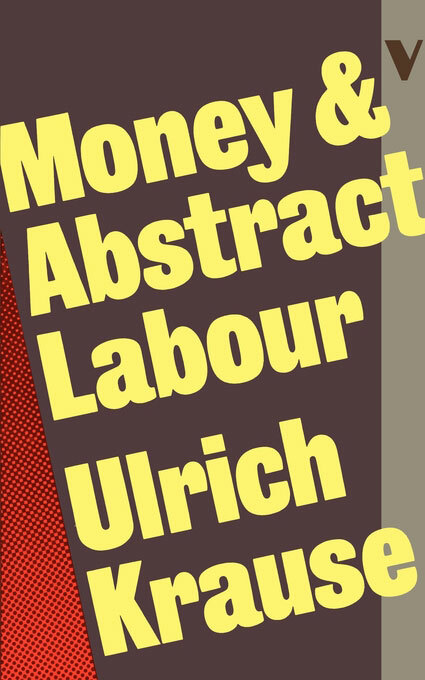 For despite their mutual inconsistency, each version can appear true only when it is thought to receive support from the other: “Labour creates value” seems (but is not) a simple consequence of the thesis that value is determined by socially necessary labour-time, and that thesis appears to survive refutation only when it is treated as interchangeable with the idea that labour creates value. 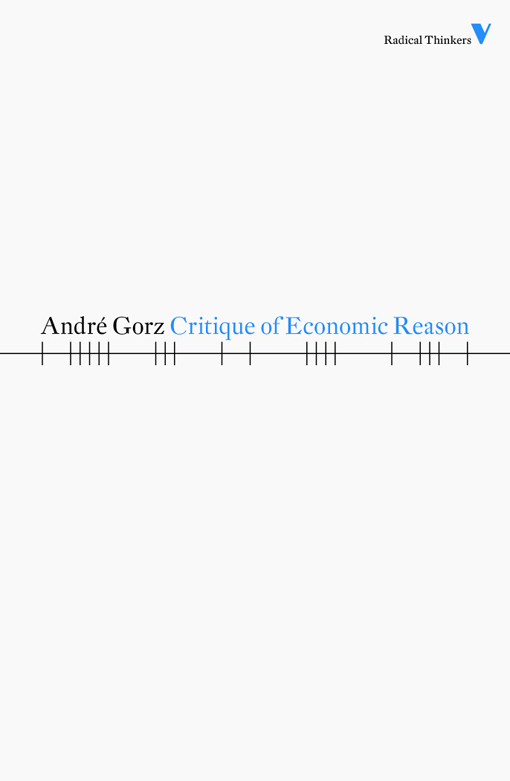 A by-product of our discussion, then, will be an explanation why the labour theory of value, which ought to be controversial, is considered even by very intelligent Marxists to be a fairly obvious truth. When Marxists think obviously true what others think not obvious at all, one side at least is very wrong, and an explanation of the error in terms of class position or ideological standpoint is not enough, because it does not show how the error is possible, by what intellectual mechanism it can occur. What follows will help to explain how it is possible for very intelligent Marxists to be mistaken. Recall what has been shown. We have seen that if the labour theory of value is true, then labour does not create value. For if abour creates value, past labour creates value; and if past labour creates value, then past labour determines the value of the product. But the labour theory of value says that value magnitudes are determined by currently necessary labour-time. It follows that past labour does not create value, if the labour theory of value is true. There is, moreover, no plausible alternative basis on which to assert that labour creates value. Hence it is false that labour creates value. And we shall show in section 9 that even if it were true, it would not be a sound basis for a charge of exploitation. Nor does the labour theory of value itself, strictly formulated, form such a basis. Any such impression disappears once we see that it does not entail that the workers create value. In fact, the labour theory of value does not entail that the workers create anything. Yet the workers manifestly create something. They create the product. They do not create value, but they create what has value. The small difference of phrasing covers an enormous difference of conception. What raises a charge of exploitation is not that the capitalist gets some of the value the worker produces, but that he gets some of the value of what the worker produces. Whether or not workers produce value, they produce the product, that which has value. And no one else does. Or, to speak with greater care, producers are the only persons who produce what has value: it is true by definition that no human activity other than production produces what has value. This does not answer the difficult question, Who is a producer? But whatever the answer may be, only those whom it identifies can be said to produce what has value. And we know before we have the full answer that owners of capital, considered as such, cannot be said to do so. Some will question the claim that owners of capital, considered as such, do not produce anything. An owner of capital can, of course, also do some producing, for example, by carrying out a task which would otherwise fall to someone in his hire. Then he is a producer, but not as an owner of capital. More pertinent is the objection that owners of capital, in their very capacity as such, fulfil significant productive functions, in risking capital, making investment decisions, and so forth. But whether or not that is true, it does not entail that they produce anything in the importantly distinct sense in issue here. It does not entail, to put it one way, that they engage in the activity of producing. To act productively it is enough that one does something which helps to bring it about that a thing is produced, and that does not entail participating in producing it. You cannot cut without a knife, but it does not follow that, if you lack one and I lend you one, thereby making cutting possible, then I am a cutter, or any other sort of producer. The distinction is between productive activities and producing activities. Capitalists arguably engage in the former, but once the distinction is clear, it is evident that they do not (unless they are not only capitalists) engage in the latter. To be sure, if — what I here neither assert nor deny — the capitalist is a productive non-producer, that will have a bearing on the thesis that he is an exploiter. It will be a challenge to a charge of exploitation whose premise is that he produces nothing. But it would be wrong to direct the challenge against the premiss of that charge, that he produces nothing. As this is generally intended, it cannot be denied. (17) The labourer is the only person who creates the product, that which has value. 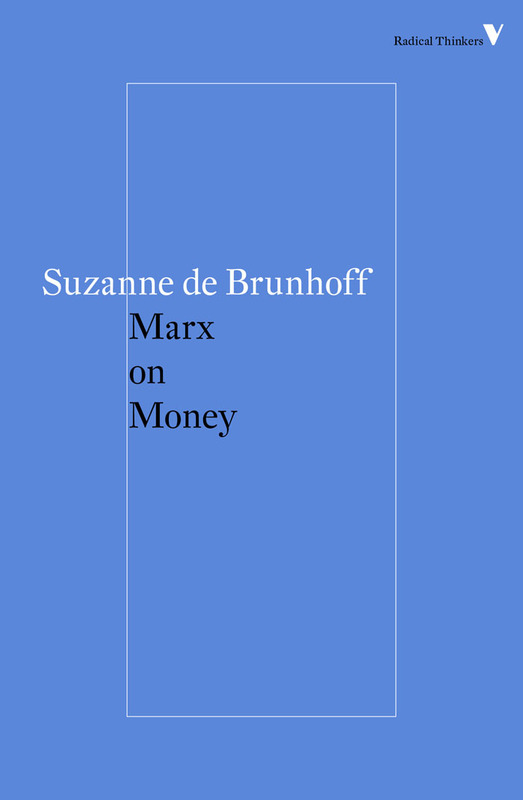 (19) The capitalist receives some of the value of what the labourer creates. (10) The labourer is exploited by the capitalist. The Plain Argument is constructed in analogy with the Simpler Marxian Argument, under the constraint that premise (17) replaces premise (5). The arguments are totally different, but very easy to confuse with one another. I have said that it is labour's creation of what has value, not its (supposed) creation of value, which founds the charge that capitalism is a system of exploitation. I must now defend this position. We have seen that labour does not create value. I now argue that even if it did, that would have no bearing on the question of exploitation. The proposition that labour creates value is, to begin with, unnecessary to the thesis that labour is exploited. For if we suppose that something else creates value, the impression that labour is exploited, if it was there before, persists. Thus imagine that the magnitude of value of a commodity is wholly determined by the extent and intensity of desire for it, and that we can therefore say that value is created by desire and not by labour. If it remains true that labour creates all that has value, and that the capitalist appropriates some of the value, does the charge of exploitation lose force? Surely not. Then the assertion that the workers create value cannot be necessary to that charge, since here we suppose that something else creates value, and the charge persists. But the claim that labour creates value is not only unnecessary to the charge of exploitation. It is no reason whatever for laying such a charge. Once again, we make the point by imagining that desire creates value. If labour's creation of value would give the labourer a claim to value because he had created it, then so would the desirer's creation of value give him a claim on that basis. Yet would we say that desirers are exploited because they create the value of the product, and the capitalist receives part of that value? The suggestion is absurd.21 It must then be equally absurd to think that labourers are exploited because they create value which others receive. It is absurd, but it does not seem absurd, and the explanation of the discrepancy is that it is impossible to forget that labour creates what has value. Creating value, when we suppose that workers do that, seems to count, because we naturally think that they could create value only by creating what has it, and the relevance of the latter is mistakenly transmitted to the former. Part of the case for saying that (17) is the real basis of the charge of exploitation is that (5) cannot be yet seems to be, and the relationship between (17) and (5) explains the illusion. But there is also more direct reason for thinking that the essential thing is labour's creation of what has value. Look at the lines from “Solidarity,” with which this article began. They say nothing about value, and the labour theory is not required to appreciate their point, which is that “we” are exploited. They do say that “we” have made all these valuable things. 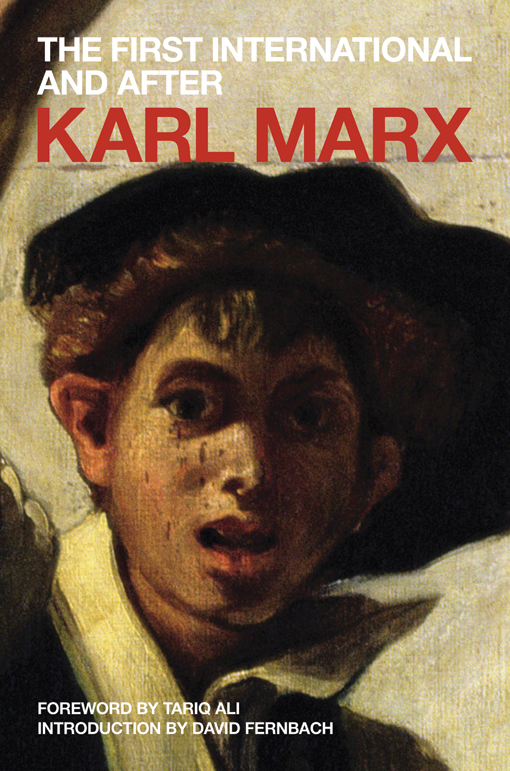 It is, then, neither the labour theory of value (that socially necessary labour-time determines value), nor its popular surrogate (that labour creates value), but the fairly obvious truth (that labour creates what has value) rehearsed in the song, which is the real basis of the Marxian imputation of exploitation. We have been discussing the exploitation of the propertyless wage-worker under capitalism. 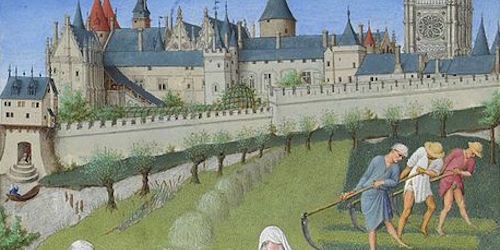 But if anything is the paradigm of exploitation in Marxism, it is the exploitation of the feudal serf, who does not, according to Marx, produce value. His exploitation is the most manifest. The proletarian's is more covert, and it is by arguing that his position may in fact be assimilated to the serf's that Marx seeks to show that he too is exploited. Now Marxists allege that the labour theory of value is required to uncover the exploitation of the wage-worker, but I disagree. 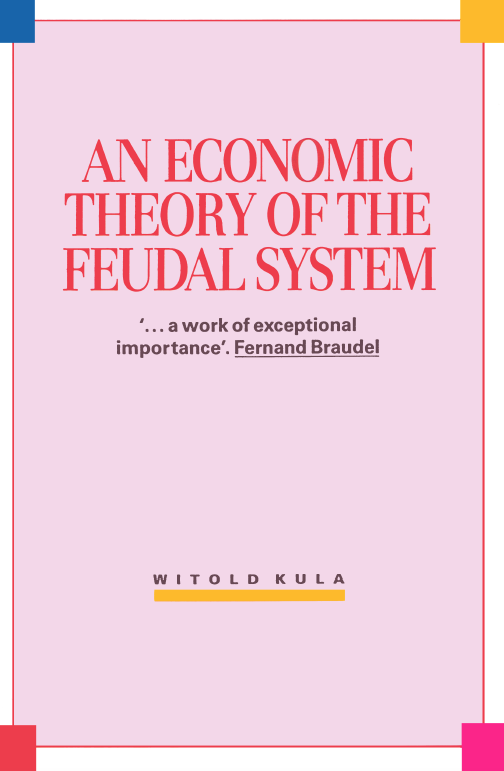 What is needed is not the false and irrelevant labour theory, but the mere concept of value, as defined, independently of the labour theory, in our sentence (2). It enables us to say that, whatever may be responsible for magnitudes of value, the worker does not receive all of the value of his product. (21) The proletarian produces all of the value of the product, but the capitalist appropriates part of the value of the product. (22) The proletarian produces the whole product, but the capitalist appropriates part of the value of the product. The exploitation of the proletarian is, on my account, more similar to the exploitation of the serf than traditional Marxism says. (23) Since labour creates what has value, labour creates value. Is there a sense, distinct from that of (5), in which “labour creates value” does follow from “labour creates what has value”? Probably there is. If an artist creates a beautiful object out of something which was less beautiful, then we find it natural to say that he creates beauty. And it would be similarly natural to say of a worker who creates a valuable object out of something less valuable that he creates value. But that would not support the popular version of the labour theory of value, though it would help to explain why so many Marxists mistakenly adhere to it. I have argued that if anything justifies the Marxian charge that the capitalist exploits the worker it is the true proposition (17), that workers alone create the product. It does not follow that (17) is a sound justification, and that the Plain Argument, suitably expanded,24 is a good argument. Having disposed of the distracting labour theory of value, I hope to provide an evaluation of the Plain Argument elsewhere. I am most grateful to Alison Assister, Chris Arthur, David Braybrooke, Daniel Goldstick, Keith Graham, Edward Hyland, David Lloyd-Thomas, Colin McGinn, John McMurtry, Jan Narveson, Edward Nell, Christopher Provis, Stein Rafoss, William Shaw, and Arnold Zuboff, all of whom wrote critical comments on an earlier version of this paper. I thank the Editors of Philosophy & Public Affairs for an excellent set of suggestions, and for tolerating my unwillingness to accept some of them. "The Labour Theory of Value and the Concept of Exploitation" first appeared in Philosophy & Public Affairs, 8, no. 4 (summer 1979). Reprinted by permission of Princeton University Press. 1. Fuller definitions of the technical terms used here will be found in my Karl Marx's Theory of History (Oxford and Princeton, 1978), Appendix II. 2. For example, Ronald Meek, in Smith, Ricardo and Marx, London 1977, p. 95. Meek treats (1) as true by definition and (2) as the substantive thesis. He acknowledges on p. 127 that the issue is contestable. 3. The labour theory of surplus-value is not, as I shall show elsewhere, validly derived from the labour theory of value. 4. Karl Marx, Capital Volume 1, Penguin Books in association with New Left Review, Harmondsworth 1976, p. 274. Strictly speaking, the value of labour-power is, according to Marx, the value of the means of subsistence needed to reproduce the labour supply, and therefore includes the value of the means of raising children. This complication, which does not benefit the theory, will be ignored here. 5. One who disputes this truth is Robert Nozick, in Anarchy, State, and Utopia, New York 1974, pp. 262-264. The truth is defended against Nozick in my “Robert Nozick and Wilt Chamberlain,” in J. Arthur and W.H. Shaw (eds. ), Justice and Economic Distribution, Englewood Cliffs, New Jersey, 1978, pp. 257-259. Some refinements are attempted in my “Capitalism, Freedom and the Proletariat,” in Alan Ryan (ed. ), The Idea of Freedom, Oxford 1979. 6. It does not matter to the moral claim about exploitation, even if it is interesting from other points of view. 7. 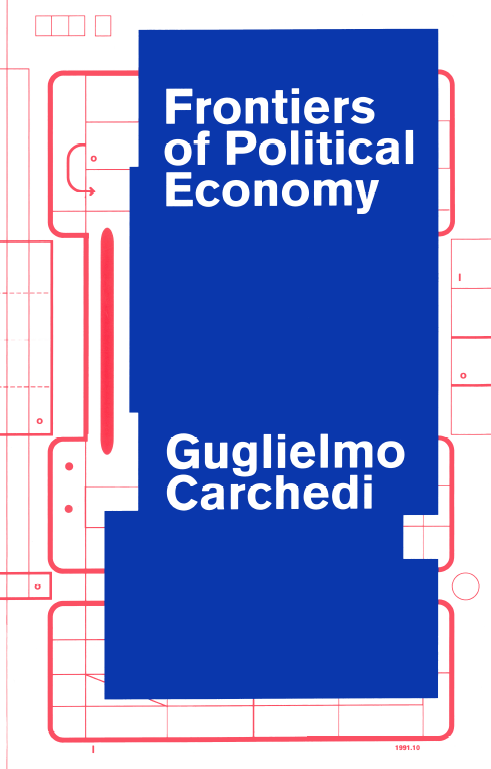 It is the concept of variable capital, not that of the value of labour-power, which is crucial in the key theoretical applications of the labour theory of value, for example, in the reproduction schemas, in the transformation of values into prices, in the doctrine of the tendency of the rate of profit to fall. 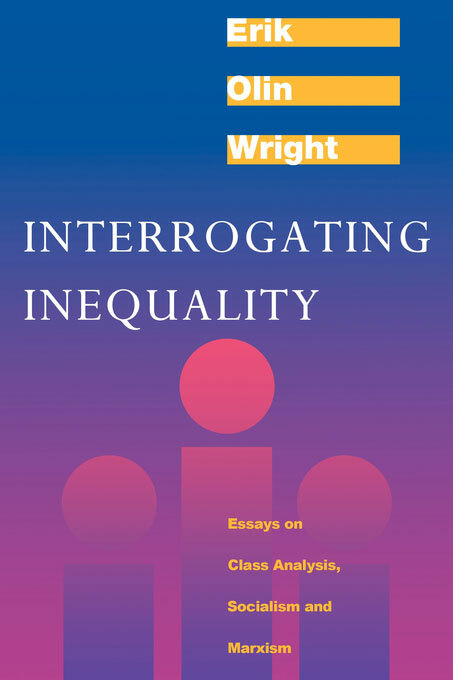 Capital allows at least short-term divergences between the value of labour-power and variable capital per labourer; and wherever there is such a divergence, it is the second, not the first, which must be inscribed in the relevant equations. 8. In the traditional sense of (5), according to which part of what is claimed in saying that labour creates value is that quantity of value is a function of quantity of labour. Other possible senses, such as that dealt with in section X below, are irrelevant here. 9. It might be objected that b cannot have a value for Marx, since he defines value for products of labour only. The textual point is probably correct (see Capital Volume 1, p. 128, for support), but no wise defender of Marx will want to urge in his defence the unfortunate lack of generality of the labour theory. Still, if anyone is impressed by the objection, let him imagine that very little labour went into b. The crucial point, which the extreme examples are only meant to dramatize, is that there is, according to the labour theory, “continuous change of value-relations,” since the amount of labour required to produce something of a certain kind is subject to variation. See Capital Volume 2, Harmondsworth pp. 52-3. 10. Despite the misleading terminology in which it is cast, this is true even of Sraffa's “dated quantities of labour analysis.” See P. Sraffa, Production of Commodities by Means of Commodities, Cambridge 1960, chapter 6; and I. Steedman, Marx After Sraffa, London, NLB, 1977, p. 70, n. 3. 11. For the first example, see Capital Volume 1, p. 130. 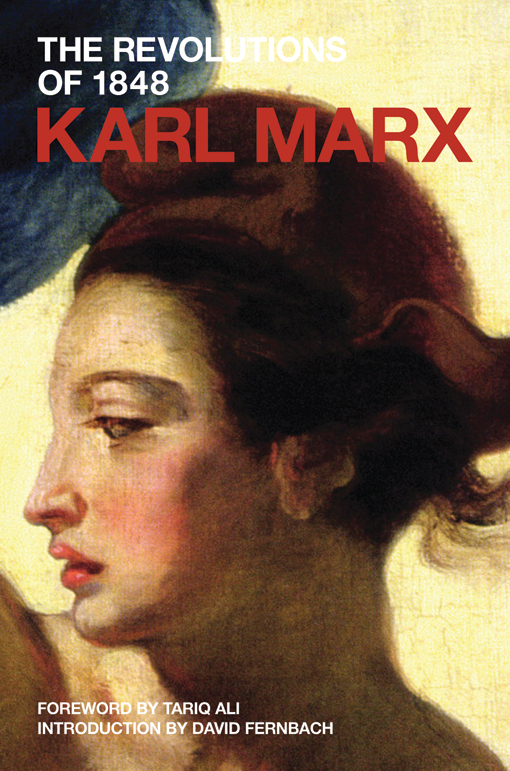 (Marx is quoting from his earlier work, A Contribution to the Critique of Political Economy.) For the second, see *Notes on Adolph Wagner”, in T. Carver (ed. ), Karl Marx: Texts on Method, Oxford 1975, p. 184. 14. There may, of course, be no such unique quantity: so much the worse for (13). 15. In, that is, the traditional sense of "labour creates value,” which is the relevant sense here: see n. 8. 16. See chapter 1 of any edition of Ricardo's Principles of Political Economy; and see Mark Blaug. Economic Theory in Retrospect, London 1968, pp. 96 f. for a brief, accessible exposition. 17. See Theories of Surplus-Value, vol. 2, Moscow 1968, pp. 106, 174-180, and Grundrisse, pp. 562-563. 19. ”Is confused with” is not a transitive relation, but the above statement is nonetheless true. 20. I use scare-quotes because there are good Marxian objections to the classification of capital and labour as distinct but comparable factors of production: note that in a sense all that is required for production is capital, since capital buys not only means of production but also labour. That only hints at the objections, which are given in chapter 48 of Capital Volume 3, and which do not affect the point made in the text above. 21. Note that I am not saying that a person's desire for something is no reason why he should receive it. Of course it is a reason, albeit one singularly capable of being overriden. But a man's desire for something cannot be a reason for his receiving it on the ground that his desire for it enhances its value, even if his desire for it does enhance its value. That ground is surely unintelligible. One more caveat. I do not suppose in the above paragraphs or anywhere else that the correct principle of reward is according to productive contribution. One can hold that the capitalist exploits the worker by appropriating part of the value of what the worker produces without holding that all of that value should go to the worker. One can affirm a principle of distribution according to need, and add that the capitalist exploits the worker because need is not the basis on which he receives part of the value of what the worker produces. 22. 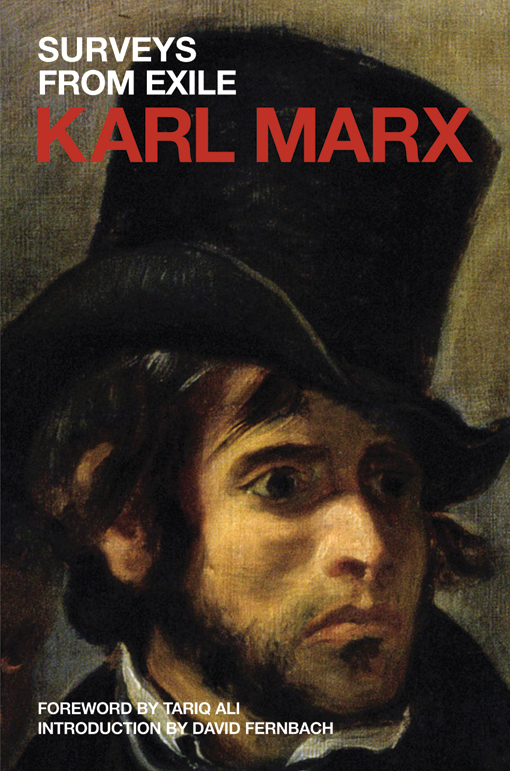 For further discussion and textual references, see my Karl Marx's Theory of History, pp. 333-334. 23. And if it did follow, then the labour theory of value, the strict doctrine, would be false. 24. By addition of refined versions of the premisses adverted to in section III above.